S24O is a term brought into existence by Rivendell Bicycles. They came up with this acronym to represent overnight bicycle camping trips or S24Os (Sub 24hr Overnighters). I am sure the term bike camping would be more simple but S24O just rolls off the tongue better. 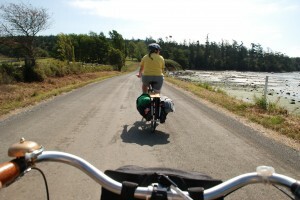 The great thing about S24O’s is that they are not 100 mile touring trips, they are not multi day commitments, and they help you get to know your area in the most intimate way possible, by bicycle. 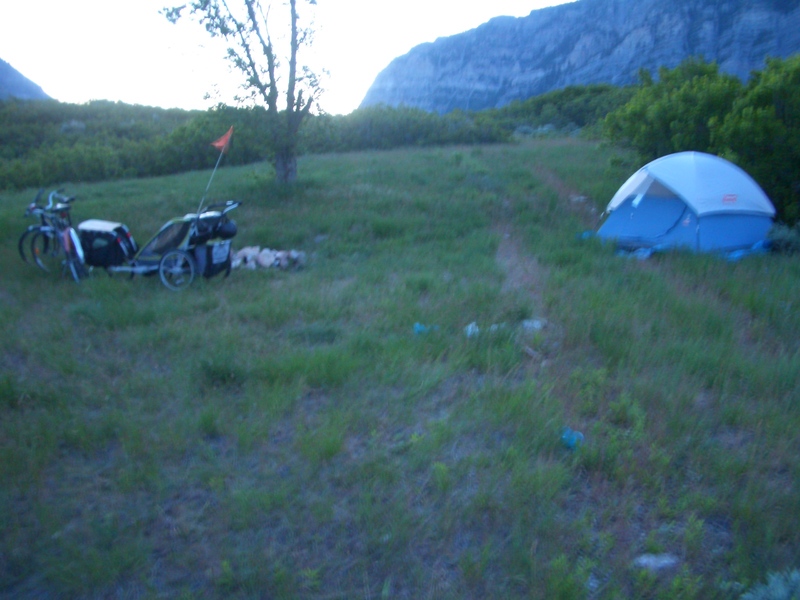 The goal of the S24O is to leave home at a decent hour of the evening, ride your bike to a given point, pitch your tent and relax. The next day have yourself some breakfast check out the area a little bit then head home. Ideally you choose locations that are short distances and provide the most amount awesome. These trips can be all asphalt or dirt or a mixture of both. The best thing about them is if you forget something you will not die, and if you did forget something essential (think sleeping bag) you could ride home and sleep comfortably in your bed. With that info out of the way I will formally announce the first S24O of the summer. This first trip is going to be all asphalt and will be a nice 15 mile ride up the canyon to South Fork. We are going to all ride up and have dinner at the campsite, tell stories, sing songs, or whatever it is that you like to do while camping. YOU WILL HAVE TO PROVIDE ALL YOUR OWN FOOD AND GEAR. I am sure there will be extra soda or granola bars laying around but the point is to bring the food and gear you will need. Which brings me to the next item. What will you need? Again, this is not a cross country tour, all you will need is a sleeping bag, tarp or tent, food for two meals, snacks, and little misc.items that make camping complete for you. 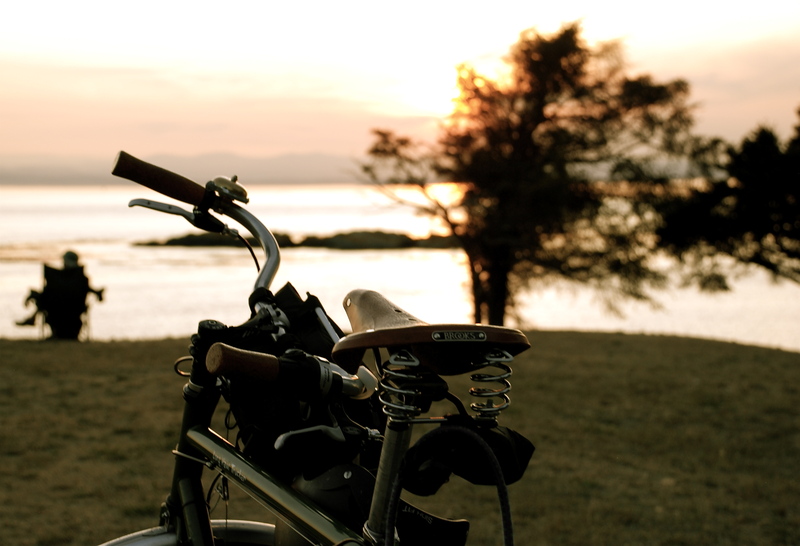 Basically, everything should fit in a regular school backpack with a thing or two lashed to your handlebars or rack i.e. sleeping bag and tent. For a really awesome and well thought out list check out what Rivbike has to say. I used this list to start my first kit years ago and have since just tweaked it as needed. On top of the basics it is always a good idea to have some sort of headlight on you bike or a headlamp to go on your head. This is going to be a really fun event. Also in case anyone is wondering this event is family friendly. Again we are not going off road or a really long distance. If you are worried about space I am sure we can make some room for you stuff. Obviously you do not want a 6 yr old pedaling 15 miles but, the pace is going to be relaxed and tailored to fit all riders. There is going to be three groups leaving that I am aware of. I am sure if none of these times work you can start your own group and leave anytime. The first group is leaving from Rowley Press at 4:30pm on Friday afternoon. This is the first official group leaving. The second group is going to be leaving from the Riverwoods at 7:20 sharp to head the rest of the way up the canyon. And, for you die hards there is a group leaving at 9pm from Rowley Press. If your riding with this group make sure to have a nice bright light. Mark you calendar and pack your bags this is going to be The way to kick off summer. Oooh, I’m going to be out of town! Promise we’ll do another S240! Camping is a great idea. You can bet this is only one of many camping trips this summer. That sounds like fun! Can’t make this one, but maybe sometime this summer.